Of all the characters Nintendo might extend into new genres, Link isn't likely to hit very high on the list. He wields swords, battles darkness, engages in highly ambiguous relationships with Zelda, then does it all again in a new land at a different time. Usually it's a somewhat quiet, considered affair, and usually whatever game he's in blows through the spectrum of expectation and hype. This isn't usually, this is 'Hyrule Warriors,' a crossover painting the characters and worlds of 'The Legend of Zelda' into the frantic, army massacring ridiculousness of 'Dynasty Warriors.' Simultaneously unexpected and completely understandable, this is Nintendo's way of keeping Link on the radar while they cook up the ambitious stuff. But lack of ambition does not mean lack of fun. Before we talk about all the 'Zelda' characters you can be (many for the first time) or how undeniably enjoyable it is to effectively trot through an interactive history lesson for one of the most storied franchises out there, let's just talk about 'Dynasty Warriors.' It's a series filling out its own little niche, never quite exposing itself to the criticisms of what one might refer to as a AAA contender. No, 'Dynasty Warriors' is happy to coast, and coast it has, and coast it will, but now, just for this moment, we're all paying attention. As 'Hyrule Warriors' is the art and the sounds of 'The Legend of Zelda,' it is firstly and most importantly the unbridled gameplay of 'Dynasty Warriors.' As a 'LoZ' fan, that gameplay made for an admittedly shaky start which shook me after initially picking up the controller, though, I was intrigued. The idea is simple. You are a hero among mere soldiers strewn about a wide, busy battlefield, tasked with maintaining the morale and vitality of your army while edging ever closer to whatever end goal that stage might ask for. Kill a boss, capture a keep, or rought an enemy unit. which in turn raises the momentum in your favor, and so on. But you can't just surge through the goals, you must maintain a keen eye on that mini-map at all times, judging whether you can cross the next objective off your list without losing too many soldiers in the process. They, and the more powerful ally NPCs commonly represented by other playable characters, will always need your help, and they will always ask for it. It's tough being the hero. Well, not so much, actually. You're a powerhouse, a button-mashing powerhouse. Whether you're Link with his sword, Zelda with her rapier or any number of slightly obscure side players in the 'Zelda' lore (the total playable character count is 13, including some villains), you're slaughtering thousands upon thousands of helpless minions, and that's within minutes, not hours, of playing. The combo counter is quick to relay gleefully the splay of death. Not to worry, because even the kind-hearted princess will cheer you on. It's not a particularly violent display, enemies just fade out once their health hits null, but it is a bit jarring watching beloved childhood characters transition with ease into massacre. That's a personal thing though, secondary to the fact that the Master Sword finally feels as powerful as it should. To and fro these battlefield objectives, you're engaging in a fairly simple, but also excitingly animated and baseline satisfying combo system, trading off area-of-effect swipes and explosions to more pointed blows at the stronger commanders. The stress of being pulled every which way in the tensest of moments over the course of these 15-30 minute engagements is balanced well by the freeform slicing and dicing of the combat, even if neither are all that deep conceptually or in execution. Don't take a second to think about it, because you'll discover all you're really doing is running towards the latest blip on the map and jamming your thumb into the X and Y buttons as fast as you possibly can. Further, the lackadaisical 'Dynasty Warriors' polish seeps thickly through the cracks the more and more you play. I'm reminded that the series' presentation hasn't scaled up as much as the years since the PS2 was introduced dictate it ought to have. 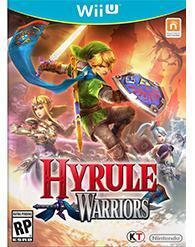 'Hyrule Warriors' is no different. It's fun, it just doesn't clean up all that well. Most damaging to the overall experience is publisher/developer Koei Techmo's continued refusal to commit to the whole battlefield atmosphere. Soldiers and grunts, by the masses, are more likely to be stand around and stare at each other then engage in any sort of meaningful action. Only when the game specifically calls for either a cloud of NPCs to approach an area, or for an individual NPC to engage in its own objective, does what little scripting they have come to life. It's a shame too, since wading through these guys to get to a Big Poe or Lizalfos or some other heavy hitter, the guys that really hold down their keeps or put pressure on your own, is really the driving, motivating thing about the 'Dynasty Warriors' zigzagging objectives. Taking them down and turning the tide of the battle is what it's all about. And the team did a great job integrating 'Zelda' touches into these moments. It's cool to come across Impa facing off against Volga, one of a few new characters introduced as part of the narrative, but more than a little bit deflating when the fierce combatants are surrounded by hundreds of lethargic dorks. They serve no other purpose than to meet your blade, yes, but they also don't add all that much other than to say: Hey! There's really a whole bunch of us! More pertinent to the actual gameplay, though, are all the half-cocked mechanics meant to enliven the repetitive button mashing and constant sprinting across the plains. Boss fights, in particular, fail to live up to the scale of their representative monsters. They're hastily thrown together 'Zelda' knockoffs, as they're meant to be, but often you'll simply be waiting around for the opportune moment to use your bombs, arrows or some other 'Zelda-' themed weapon, avoiding a static string of attacks. It's actually a bit infuriating, hearing the game scream at you that keeps are falling and your friends are in trouble, offering the destruction of the boss as your only repose. Meanwhile, you're sitting right in front of him as he does his little dance, taking his sweet old time to open up for attack. That's a failure to create confluence between the systems of your game in a satisfying way, and these kinds of things crop up just a little more often than I'd like. Systems are in place to upgrade the attributes of weapons and characters, and though adding a new combo into someone's repertoire (XXXXXY, instead of XXXXY) is likely to let out some new, dramatic move, the game never asks that you play it differently as a response. It only ever asks that you play it more, and grow your many characters along the gradient of the gradually increasing difficulty curve. In other words, it's artificial incentive at its most obvious and stale, even if including weapon upgrades welcomes a repetition of the whole 'Zelda' chest-opening ditty. The purist in me finds it difficult to overlook these prickly flaws, but Nintendo knows how to use all that pent up childhood against me as a devious counterbalance. A wide net is set over the many timelines and locations in 'The Legend of Zelda' history. Had DC and Marvel not fallen so frequently on the crutch of crossover universes in the past, I might even consider the idea clever as they used it in 'Hyrule Warriors.' 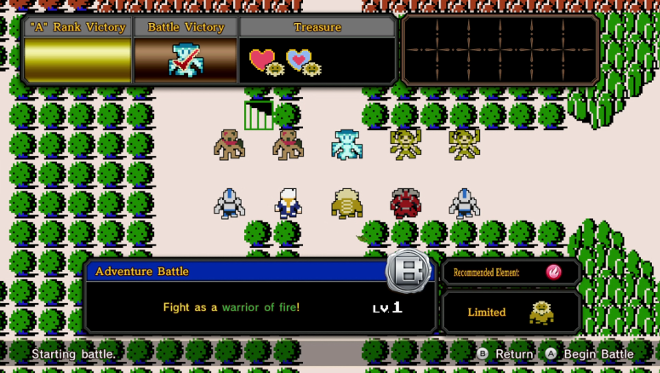 Legend Mode, which takes the player through a 'Zeda'-lite narrative, finds reason to invite characters from across the ages, recognizable and lovable to fans of the franchise, allowing players to jump in their shoes for the first time. 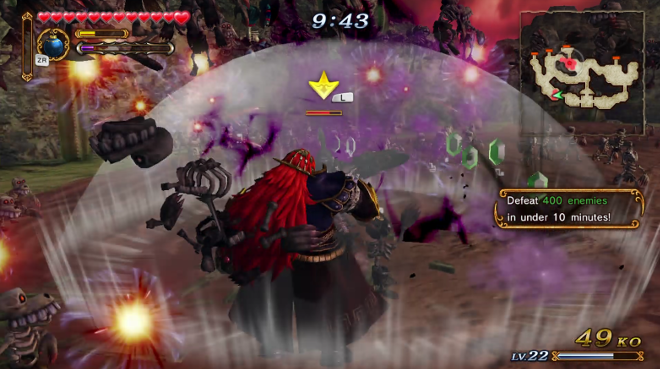 Ganondorf, of course, is gruelingly powerful. 'Skyward Sword' sidekick Fi brings her boundary issues to the fray alongside some pretty excellent crowd-control. Impa, Sheik, Darunia, Midna and so on and so on. They sport move sets just removed from each other to feel unique, including an extra weapon type or two to effectively flip around one's play style, though never it's never relaly enough to break open any sort of variety in the game. They all function, and they look good doing it, but it's a masher through and through. Every enemy, every moment and every locale is pulled out of some corner or wide-open space in the 'Zelda' franchise. Neither is a single opportunity for an obscure reference missed. 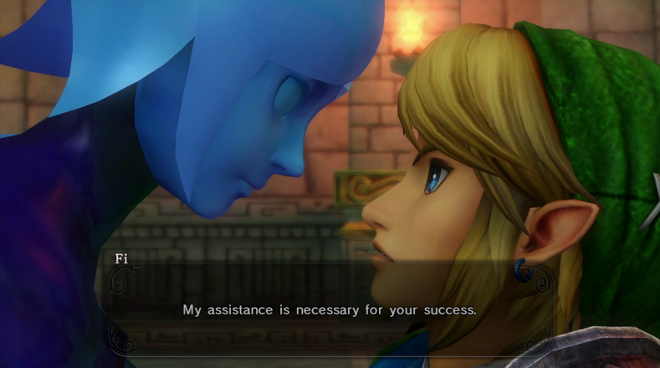 In this way, 'Hyrule Warriors' is an unmistakable success. On the 'Dynasty Warriors' side, however, it remains a muddled, repetitive experience, nevertheless tasking of your attention and mildly rewarding of your perseverance and strength of thumb. It works, as it always has, yet shows disappointingly little ambition in finally seeing its unique concept through to a higher echelon of execution. Nothing rewards the completion of a mission in 'Hyule Warriors' more than the gift of one of its many lavishly produced cut scenes. These things are beautiful and sort of make me wish Nintendo would commission an animated series or movie. It's a bit of a trick, though, since the rest of the game is pretty bland. Everything but the character models blend together, which is more disappointing than it should be considering the locales on display. Hyrule Fields, Faron Woods, Skyloft, Lake Hylia, Gerudo Desert. These are all iconic and memorable places, all stretched too thin and too blotchy to approach anything beyond mildly fond recollection. The 'Dynasty Warriors' setup calls for flat layouts and approachable landscapes, but that's no excuse to put the Hyrule Castle behind a wall of fog. On the other hand, Link, Ganondorf and the crew all animate with ferocity and character, the details in their clothing and expression contributing much to their liveliness and determination. The game trades between bona fide 'Zelda' classics and versions of those classics with thick electric guitar riffs to "pump it up." I'm not a fan, but it does encourage the frantic pace called for as you dash from keep to keep. Don't go in expecting subtlety. In addition to the primary Legend Mode, which runs through 18 prolonged battles, there's a pretty straightforward Challenge Mode and, most compelling of the side offerings, Adventure Mode. In the latter you're presented with an 8-bit inspired grid and asked to complete challenges block-by-block to gradually open the whole thing. Even if the challenges themselves are essentially segments of the larger missions, the meta changeup here is compelling, especially considering it's the only way to unlock four playable characters. In a callback to the very first games in the franchise, you'll need to win old-school items like the Candle or Bomb to open up secret rewards. Even with the weapon and character upgrades, Adventure Mode is the best excuse to keep going after the campaign. Collecting Gold Skulltillas throughout the scenarios net you some gallery artwork and Miiverse integration is supported, if pretty lightly. A co-op partner can also jump at virtually any time, giving one player the screen and one player the GamePad, though the drop in frame rate and overall performance is a big deterrence. Otherwise, GamePad-only single-player is available too. If you enjoy both, then the planets have aligned. Have a ball.